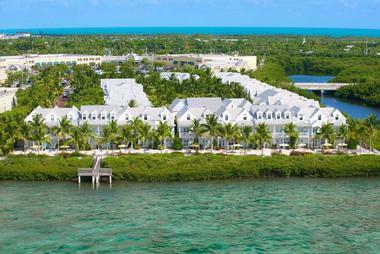 Key West is a beautiful honeymoon destination, home to sandy beaches, great attractions and a choice of things to do. 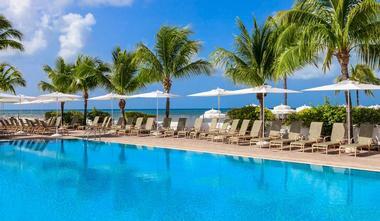 From luxury beach resorts and elegant inns to affordable B&Bs, there is plenty to choose from. Check into an oceanview suite just steps from the pool, stay at a landmark hotel, or relax at a cozy bed and breakfast in the heart of Key West. The Southernmost Beach Resort, located next to the sea, was built in the colonial style and is close to Duval Street for guests who want to stay near Key West’s best shopping and nightlife attractions. Rooms are refined in style, and all feature views of the ocean and have modern amenities like fridges and Wi-Fi. For guests who want to make the most of the resort there are two different bars to choose from as well as a spa and a swimming pool area. In addition, guests will also find a beach and a private pier, which is perfect for sailing options. 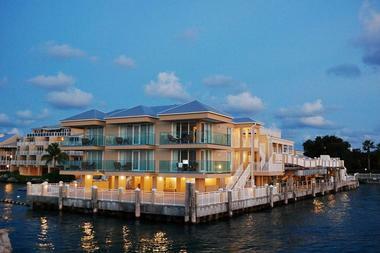 Pier House Resort and Spa is conveniently located within walking distance of famous Key West places of interest such as the Key West Aquarium and picturesque Mallory Square, and it has the special feature of being situated over the water. The hotel rests on wooden posts that give the resort its name, and for guests who like to fall asleep to the sound of lapping waves, this is the perfect place to stay. The decoration of the hotel is refined and elegant, and all the latest amenities such as flat screen televisions and Wi-Fi are included. Should guests prefer to stay in one of the signature suites available then they can also expect wet bars and whirlpool baths. 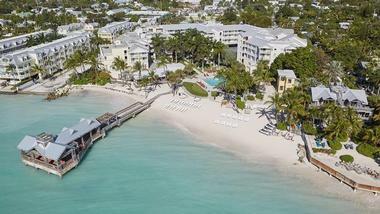 Ocean's Edge is a beautiful Key West resort located approximately three miles from the island city's international airport, offering convenient access to attractions such as Smathers Beach, the United States' Southernmost Point, and the city's beautiful historic Old Town. Lovely guest rooms and suites feature nautical and tropical decor, with beautifully-furnished private guest balconies offering ocean views from every room. Top in-room amenities include flat screen televisions, coffeemakers, mini-fridges, and free wireless internet, with upgraded suites adding wet bars and private living room space. Onsite dining options include the Caribbean-themed Yellowfin Bar and Grill, which serves up delicious American-Caribbean fusion dishes and showcases nightly live entertainment. If you are looking for an authentic Key West bed and breakfast experience then look no further than Old Town Manor, a former Victorian manor house that has been transformed into travel accommodations for those looking to vacation in the area. 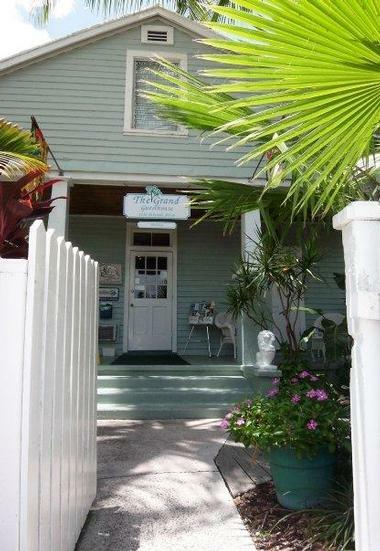 Located close to Duval Street, the bed and breakfast inn is close to shopping and dining options and sits in the Old Town section of Key West, making it perfect for guests who want to explore the area on foot. Old town Manor has an intimate feel due to its collection of 14 high quality rooms, and the nearby gorgeous gardens are ideal for a morning or afternoon stroll. For those looking to try the local food, a complimentary breakfast is served daily featuring organic ingredients sourced from the area. Situated in the Old Town district of Key West and nestled along its prime waterfront lies the West in Key West Resort and Marina. The establishment is close to Duval Street and Mallory Square where shopping and dining options abound, and you can also find a range of nightlife and entertainment venues within walking distance. Should guests prefer to dine at the hotel they will find a plethora of fresh produce from the region that can be enjoyed while overlooking the water or on the stunning hotel grounds. 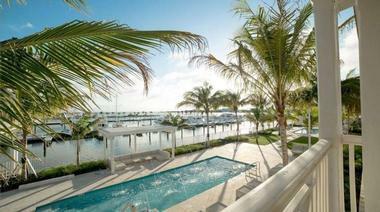 Rooms have all the latest amenities, and suites boast gorgeous views over the marina. The Key West Marriott Beachside Hotel is nestled next to the beachfront in Key West and is located close to local attractions such as the Key West Museum and the Hemingway Museum. Rooms here are tastefully decorated and designed with guests’ comfort in mind and come with Wi-Fi, mini-fridges, and flat screen televisions, while suites have kitchen areas and balconies where you can take in stunning views over the beach. 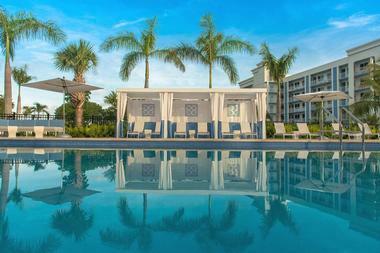 There is a range of dining options at the hotel, including poolside for guests who really want to relax. There is also a whole host of activities to enjoy here; you’ll find an outdoor pool as well as a dedicated sailboat cove and a scenic beach for those who want to relax or swim. The Reach A Waldorf Astoria Resort is located on its own private beach in the Key West area so come here if you want some long walks along the sand looking at the sunset. Despite its secluded feel, the hotel is also close to Duval Street where you will find plenty of dining and shopping options. Rooms are elegant with modern amenities, and suites feature balconies, many of which have sea views for those who want to take in the Key Westskyline. Aside from the sandy beach there is also a pool, and guests can dine poolside or enjoy other dining options such as a popular steakhouse. 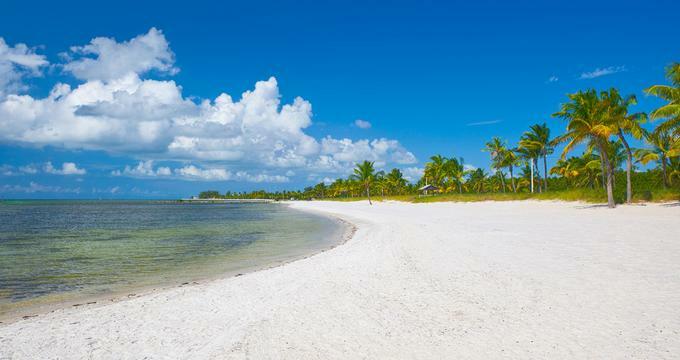 Situated just over two miles away from Old Town area of Key West, the Parrot Key Hotel and Resort also sits on the waterfront, meaning it is ideal for guests who want to both relax and benefit from a centralized location. The rooms here are designed to reflect the tropical accents of Caribbean style, and there is a range of local artwork on display, which is sure to please art buffs visiting the region. Rooms also come with verandas or balcony areas that offer spectacular views of-the water or the lush grounds that cover the property. Depending on the size of your party, guests can choose from rooms, suites, or even private villas that feature tubs and kitchen and living facilities. For guests who are looking for more of a home style experience rather than just an individual hotel room, Santa Maria Suites Resort is the perfect choice, as all suites come with either one or two bedroom sand are designed in a modern and chic style. Suites also have Wi-Fi, flat screen televisions, and private verandas or balconies and come with fully equipped kitchen areas. Some of the larger suites span two floors and are situated facing one of two swimming pools, making for stunning views of the surrounding area. Santa Maria Suites Resort also boasts lush gardens around the property as well as dining options on site. 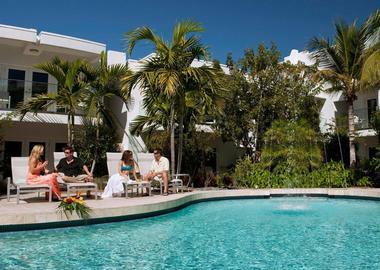 The Gates Hotel Key West, designed with the discerning customer in mind, is both modern and chic. Rooms here are decorated in a minimalist style and feature photographs by local artists to give guests a taste of the Key West arts scene. Some of the amenities that guests can expect include raised platform beds, flat screen televisions, and Wi-Fi, and some rooms come with terraces so that visitors can enjoy the local scenery. There is a wide range of dining options at The Gates Hotel Key West, and perhaps the most unexpected of these comes in the form of its resident food truck that sells traditional dishes from the Key West area, which emphasizes delicious Caribbean flavors. 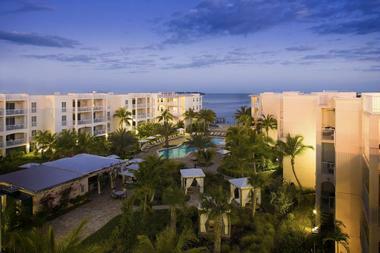 The Gardens Hotel is named after the gorgeous tropical gardens in which the hotel sits. 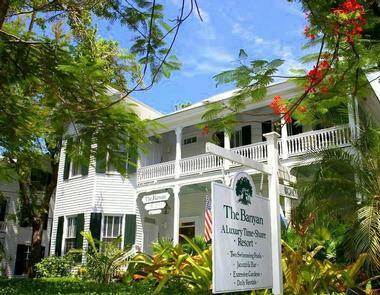 Located in the Old Town quarter of Key West, the Gardens Hotel is a historic building that features rooms designed and decorated in a plantation style. Guests can choose from individual rooms, larger suites, or even cottages, which are perfect for families or larger groups, and some of these feature balconies, patio areas, or Jacuzzis. 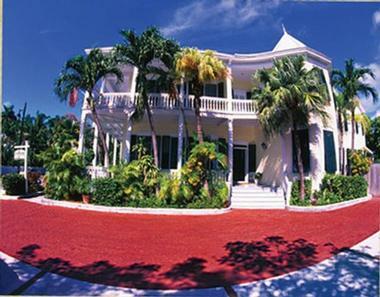 Simonton Court Hotel Key West spans two acres and has a range of buildings. Guests of the hotel can choose from rooms or cottages on the property, part of which was originally a cigar factory in the 1880s. Each room is individually decorated and includes period features, and some come with their own kitchens, balconies, and tubs. Elegant antique pieces are dotted throughout the rooms and the hotel itself, so this is the perfect place for those who want to feel like they are reliving a little piece of history. The hotel is also close to the famous Duval Street so guests are near a number of shopping and dining venues. 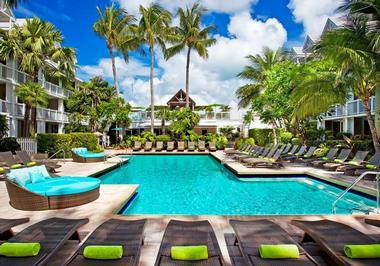 The Banyan Resort is an eco-friendly resort that is situated within easy walking distinct of a range of attractions in Key West such as the Hemingway Museum and Duval Street. The airy studios on the property feature kitchen, living, and dining areas as well as sunrooms. All rooms also come with either a balcony or patio area, and some of them have elegant features such as high ceilings or French doors. For larger parties, there are also suites available. On the property, guests will also find two swimming pools and a communal hot tub as well as a tropical tiki bar. 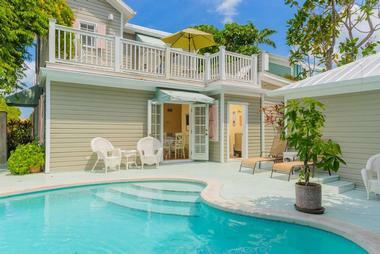 For those looking to stay in a period property in Key West, the Knowles House is the ideal choice. A bed and breakfast set in a former conch house that dates from the 1860s, the Knowles House is situated close to Duval Street as well as the local ferry terminal, meaning visitors can easily visit neighboring Fort Myers. 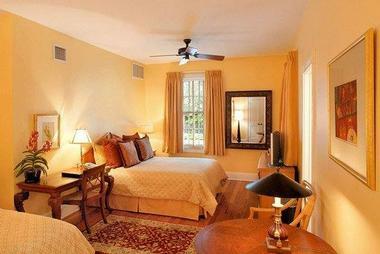 The bed and breakfast has a boutique feel to it, as there are only eight rooms throughout the entire property. Each room is individually themed, ensuring you will have a unique experience. All rooms come with modern amenities such as Wi-Fi and flat screen televisions, and a free breakfast is served daily to guests. The property also features stunning tropical gardens as well as a swimming pool and a sundeck, which is situated on the upper floor of the property. A delightful bed and breakfast that dates from the Victorian period, La Pensione Inn B&B is a situated in the Old Town area of Key West. 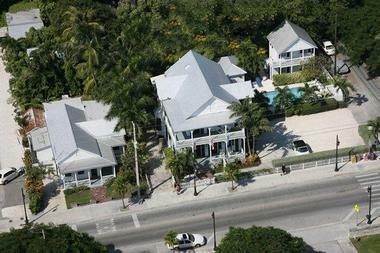 From here,guests can walk to the Hemingway Home and Museum as well as the Truman Little White house and Duval Street. The design of the rooms takes its inspiration from a tropical Caribbean style, and many feature sitting areas as well as bedrooms and en suite bathrooms. There is also a communal balcony accessible from many rooms, and it offers stunning views over the property. A complimentary breakfast is served every morning in the communal dining area, and there is a swimming pool on site as well as a garden with a sun deck. 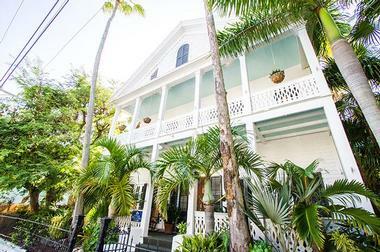 The Conch House Heritage Inn, located in the Old Town area of Key West, is a bed and breakfast inn in a Victorian property that dates from the 19th century. The inn is conveniently close to Duval Street and the Hemingway Home and Museum, meaning guests can easily explore the area on foot, and it is perfect for those who enjoy staying in period residences rather than modern hotels. 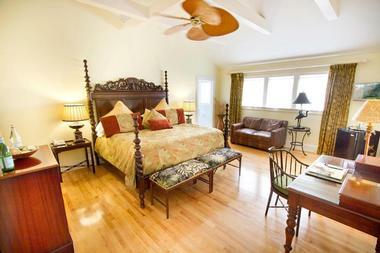 Rooms at the Conch House Heritage Inn are either in the main house of the property or in the private cottages located off site, and all are tastefully decorated with period furniture and artwork. Antique features also include Victorian fireplaces, and some of the larger suites have whirlpool tubs and patios that lead to the verdant gardens spanning the grounds of the inn. 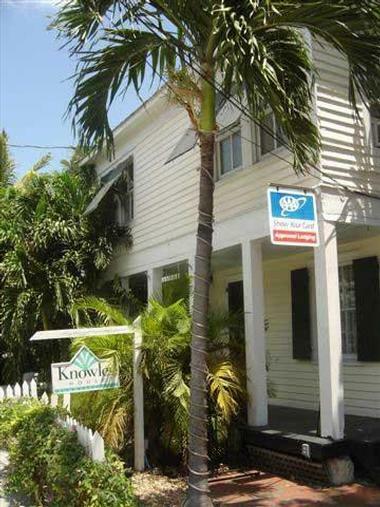 Located near Duval Street, Villas Key West is a collection of suites and cottages that are perfect for those who want a little more space during their vacation. Rooms at Villas Key West are spacious and decorated in a colorful Caribbean style, and they feature artwork from prominent local artists to give guests a flavor of the area. Guests can expect all the latest amenities like Wi-Fi and flat screen televisions, and many of the suites also include fully equipped kitchen areas. Guests will also find a swimming pool, communal hot tub, and sun deck located on the property perfect for catching some afternoon rays. Situated in a gorgeous period house that dates from the Victorian era, Artist House on Fleming is an upscale bed and breakfast that is also conveniently located close to Duval Street and several attractions such as the Key West Aquarium. Rooms at the house all have individual design elements and themes, and suites feature a range of rooms for larger groups. The house also boasts a swimming pool and a picturesque garden with breakfast served daily on the porch so that guests can take in the views. Other amenities on offer at the house include bike rental so that visitors can cycle around the area. Conveniently nestled in the Old Town quarter of Key West, the Blue Parrot Inn is located in a historic building that dates from 1884. You will also find an adjacent cottage from the same period on the property. Both the house and the cottage are close to the Hemingway House and Museum as well as Duval Street for those looking for nearby nightlife and dining options. All rooms are decorated in a lively tropical style and have individual themes, and your booking comes with a complimentary breakfast that features the best of the local produce. Amenities on site include a pool and sundeck surrounded by beautiful tropical gardens. Close to Duval Street as well as the Atlantic Ocean, the Grand guesthouse aims to give visitors a taste of home and has cozy rooms that are themed around the local area. All feature modern amenities like Wi-Fi, fridges, and flats screen televisions. Should guests wish to choose a suite, these come with additional dining and living areas for some extra space. There are also seating areas located outside of each room on the property, and these have deck chairs and tables so that guests can relax outdoors in the tropical gardens. In addition, there are also hammocks and lounge areas throughout the gardens. Located near a whole host of famous Key West landmarks such as the Sunset Pier on Duval Street and Ernest Hemingway’s former house and museum, the Marquesa Hotel is built in the Victorian style and is perfect for guests who enjoy period architecture. The rooms at the Marquesa Hotel span four separate buildings and have decadent features such as marble bathrooms. Should guests choose to upgrade to a suite, they can also enjoy their own private porch areas. Lush grounds and verdant greenery such as plants and flowers surround the rooms, and there are two swimming pools for guests to choose from as well as a range of dining options and a bar.